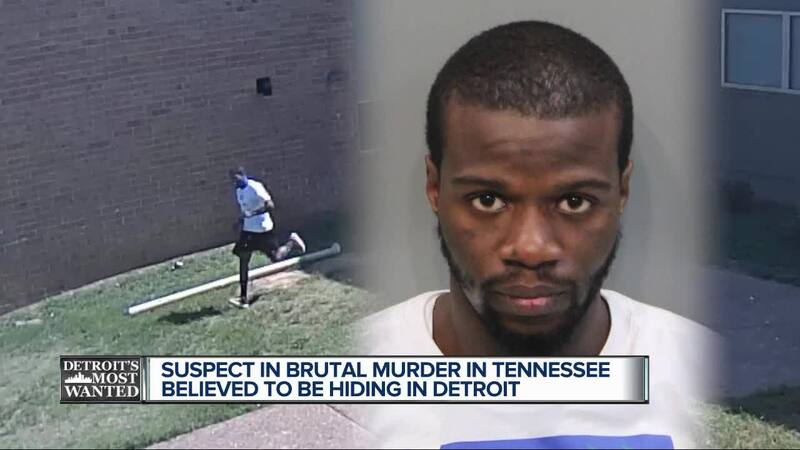 A brutal murder in Tennessee has law enforcement in Detroit searching for the killer right here in Detroit. Police say Oshea Williams had only been in Chattanooga for six months when he shot and killed a 41-year-old man then hopped on a bus to come back home to Detroit. He’s at the top of the U.S. Marshals Most Wanted List this week because authorities want to make it clear that Detroit is not a place where criminals can come to hide. “You’re not gonna go kill somebody in Tennessee and bring that garbage back here to the city of Detroit,” Deputy U.S. Marshal Aaron Garcia supervisor of DFAT said. A brutal crime in broad daylight. It happened at 4 in the afternoon on July 18th at a Chattanooga apartment complex. Kids are out playing on the hot summer day – when their innocent fun is interrupted by violence no child should ever experience. “He shot somebody in the head, cold blood in the head,” Garcia said. You can see the terrified children run when they hear the gunshots and police say the killer takes off outside toward the kids. “He shoots somebody in the head, he runs away and it’s caught clear on video you see Williams running away with the murder weapon in his hand,” Garcia said. Police in Tennessee identified the shooter as Oshea Williams, a 23-year-old Detroit native. “He takes off in the vehicle, he soon abandons the vehicle and abandons the murder weapon which is recovered by the Chattanooga Police Department,” Garcia said. Cortez Alford was left to die while police say Williams headed north. Oshea Williams is 5’9”, 145 pounds and from the east side of Detroit. “You can run but you can’t hide, we’re gonna find you. We have task forces everywhere, there’s no jurisdiction no limits, these guys are going to be found,” Garcia said. As always, there’s a cash reward for any information leading to the arrest of Oshea Williams. You can call the U.S. Marshals anytime at (313) 234-5656.